Living... in Manhattan's Hell’s Kitchen in the wake of an alien invasion. The Avengers stopped our alien guests but the city is still more dangerous than ever. Jessica used to be a superhero with super strength, but she hung up her cape years ago. She dated a guy named Kilgrave who could psychically control her mind and she did things under his control that no hero would do. Now she just wants to make a living so she can drink enough to forget her past. Profession... private investigator at Alias Investigations. It’s mostly taking pictures of cheating husbands in the act until she discovers Kilgrave is back in New York. And he wants Jessica back in his life. Jessica knows him better than anyone, so she teams up with her new superpowered friend Luke Cage and her old pal Trish Walker to stop him. Relationship Status... casually seeing her friend, bartender Luke Cage, while haunted by Kilgrave. Her time with Kilgrave was the worst period of her life, living in a mind controlled haze doing terrible things she did not want to do. Now he wants to win her back and he doesn't care who has to die to make it happen, Luke included. It's really too bad; Jessica and Luke have fantastic chemistry. Challenge... stopping Kilgrave. While controlling a new girlfriend, he ordered her to shoot her parents. Now she’s in jail while Kilgrave is a free man. Jessica wants to stop him from hurting anyone else, but she but has to keep him alive to get her new client out from behind bars. Personality... blunt, strong, and guarded. Luke calls her “a hard-drinking short-fused mess of a woman.” Jessica doesn’t mince words, and she doesn’t waste time on people who get in her way. After years of doing the things Kilgrave wanted, she’s living life for herself. Drinking during the day, staking out philanderers at night, and sleeping in until her phone rings with a new job. Only when Kilgrave returns to the city does she consider using her powers to help others. 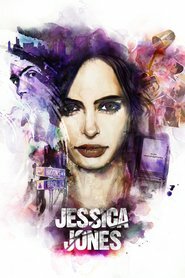 Jessica Jones's popularity ranking on CharacTour is #84 out of 5,000+ characters. See our top-ranked characters and read their profiles.